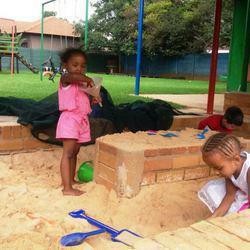 -We understand that each child are individuals with individual needs. -We believe in play based learning, through discussions, books, construction, experiments, creative activities, music, movement and group work. 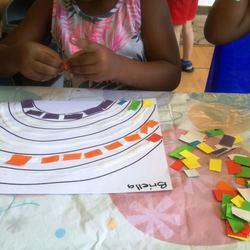 - We use a lot of natural materials in our learning and creative activities. The use of nature is also a great way to stimulate the senses. -Our children are given a breakfast, a mid-morning and late afternoon healthy snack and we offer a nutritious cooked lunch. -Our playgrounds are large and we believe in the outdoors being a great time to continue learning with many outdoor activities and learning experiences. -Music Box, Mini olympics, Soccer Stars, Rugga Kids and Computer Club are extra murals that are on offer during the mornings. -We trust that our school is a place where children can grow and achieve their potential in a safe and loving environment. -We have experienced, qualified, fun and caring teachers. Our classrooms are big and we keep our numbers per class low. 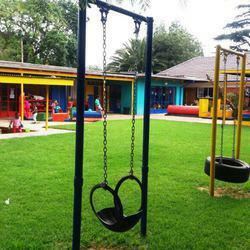 -We are a sister school to Smallways Nursery school situated at 44 Central road, Linden extension. We are situated at 18 6th street, Linden. Pop in and come and see us.